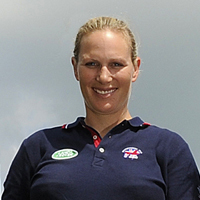 Zara Tindall (née Phillips) is the daughter of two successful British eventers, Princess Anne and Captain Mark Phillips. She established herself at senior level in 2003 when she finished second at Burghley with Toytown. Zara became individual European champion riding Toytown at Blenheim in 2005 and went on to be crowned BBC Sports Personality of the Year. Zara married rugby star Mike Tindall in 2011 and gave birth to her daughter Mia in January 2014. An impressive performance at London 2012 riding High Kingdom helped the British team to secure a silver team medal. Zara also finished second at Luhmuhlen in 2013 before taking a break from the sport to have her first child. She successfully returned to the saddle in time to win team silver at 2014 World Equestrian Games. Zara’s brilliant equine partner Toytown was put down on Tuesday 27 June 2017, at the age of 24. What do Zara Tindall, Mark Todd and Harry Meade make of the 2017 Burghley course?